The Siberian unicorn may have only died out a mere 29,000 years ago rather than 350,000 years ago. An astonishing new study indicates that humans and Siberian unicorns may have lived at the same time, based on the discovery of a fossilized skull in Kazakhstan. Scientists had thought that these Siberian unicorns — shaggy animals that looked more like a rhinoceros than the mythical ones that resemble horses — died out 350,000 years ago, but the skull indicates the animal may have been around as recently as 29,000 years ago, according to a study published int he American Journal of Applied Science. The animal would have been 15 feet long, stood about 6 feet tall, and weighed about 9,000 pounds. The research was conducted by Tomsk State University in Siberia. They believe the animal probably had a diet of predominantly grass, and the skull they found was probably of an older male. Scientists were able to date the creature using radiocarbon dating techniques. 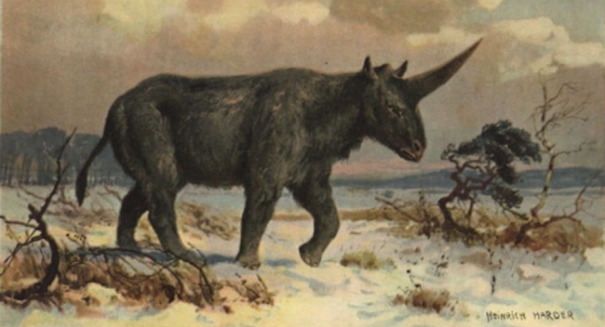 Researchers think that the Siberian unicorn may have survived so late because it was in western Sibia, where the climate didn’t change much compared to what was going on in the rest of the animal’s range. It also may have migrated to warmer areas down south.